I had a bit of a hit and miss with this one. 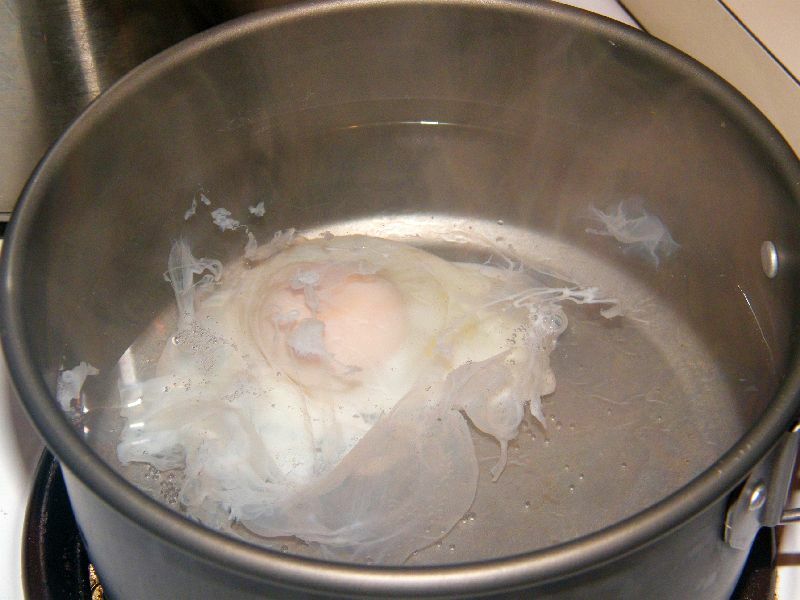 I've never poached eggs before, but I've read about it, and I've seen it on TV. Plus it's the better way of serving egg versus the cooking oil-laden sunny side-up variety. So I decided to have a go at it one weekend morning. 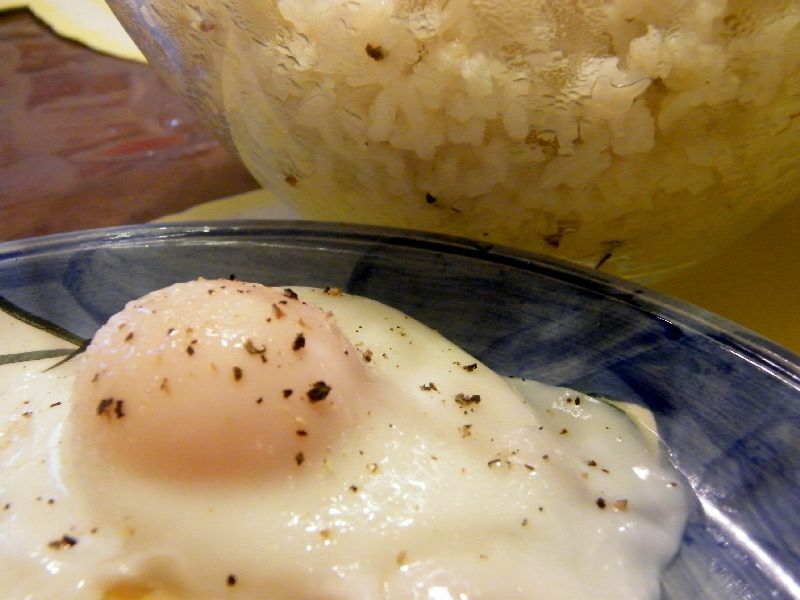 I cooked two nicely poached eggs and a bad one, the reason and result of which you'll see at the end of this post. Bring the pot of water to a boil. Add the vinegar (which will help coagulate - solidify - the egg whites and keep it together), then lower the heat to a point that the water is still continuously heated without generating a lot of bubbles. Carefully break the egg onto the water. I find 4 minutes to be sufficient to have nicely-cooked egg whites and runny, yummy egg yolk. If you are not a fan of runny egg yolk, cook it for a minute longer. When the time is up, remove from the pot using a slotted spoon or ladle (which we have), drain off the water, then put on the plate. Sprinkle with ground pepper and salt and serve. This is great with fried rice. Also yummy with toasted bread. Spread some butter on a couple of bread slices then place the poached egg on top. When I was poaching the eggs, my wife gave me the solitary egg that somehow made it from the previous batch, so it was a few days older. This resulted in broken-up egg whites and egg yolk that barely made it from breaking up too (see egg below at right side). Lesson learned: use only the freshest possible eggs to poach.